The revelation of Jesus Christ, which God gave him to show his servants what must soon take place. He made it known by sending his angel to his servant John, who testifies to everything he saw – that is, the word of God and the testimony of Jesus Christ. Blessed is the one who reads the words of this prophecy, and blessed are those who hear it and take to heart what is written in it, because the time is near. The title, The Apocalypse, comes from the Greek word Apokalypsis, meaning – the removing of a veil. The Book of Revelation gets its title from the Latin word Revelatio, which means – an unveiling. The revelation of Jesus Christ is a disclosure to the saints (his servants) of the nature and will of God the Father given to God the Son. The Word of God and the testimony of Jesus Christ were revealed to John the apostle through an angelic mediator. The Book of Revelation is an unveiling of the person and work of the Son of God. It is a consummation of biblical prophecy disclosing the future of the Jew, the Gentile and the Church. John bore testimony to what he saw and wrote a letter to be read aloud to seven local churches in western Asia. When studying any portion of the Bible, one’s hermeneutics comes into play. Hermeneutics is defined as the theory and methodology of interpretation, especially of scriptural text. The way scholars interpret the Book of Revelation is determined by the theologian’s preconceived concepts or type of hermeneutics used. A person’s denominational affiliation often influences their method of interpretation. 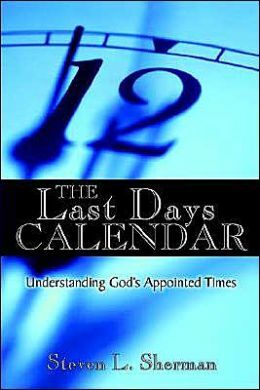 A person who holds to Reformed Doctrine will have a very different eschatological view (how they see the last days) than the way a Dispensationalist will interpret the same text. Over the centuries, four major traditions developed in the way the Book of Revelation is interpreted. These are popularly known as the Preterist view, Idealist view, Historicist view and Futurist view. These four traditional interpretations automatically resulted from extrapolating from established doctrines. In other words, how literally or symbolically passages are interpreted is based upon a person’s denomination or brand of theology. Evidently, James was writing to the New Testament Christians — but these were ethnically Jewish Christians. James was the Bishop of Jerusalem. After Stephen was martyred, the members of the Jerusalem church fled from Judea. This letter was obviously of a Jewish nature (e.g., the use of the Hebrew title for God, kyrios sabbaoth, “Lord Almighty,” James 5:4). When James wrote to the twelve tribes, he was not viewing the New Testament Christians as successors to and fulfillment of the twelve tribes of Israel; evidently he was identifying the early church as primarily comprised of Jews who accepted Jesus as the Messiah of Israel. The Historicist or Panhistoric (across history) view claims that each generation has its own fulfillment of prophecy. The book of Revelation basically deals with all of human history. The meaning of the symbols is to be found in the events of history. Some hold that the book deals more with the period prior to the present, some see it as unfolding in the present, and some emphasize the future more. The entire book is a symbolic account of the whole scope of world history, with the “beast” identified with various historical figures or peoples, therefore Nero, Napoleon or Hitler could have been the Antichrist. The Preterist view of prophetic interpretation was developed by Luis de Alcazar (1554-1613), as part of the Counter Reformation. It was developed to take the heat off the Pope, who was feeling some discomfort from the Reformers’ talk that the Papacy was the Antichrist. Preterist means past in fulfillment. The Preterist or Contemporary Historical view claims that most or all Biblical prophecy has been fulfilled in the first century, up to the year AD 70. This year saw the desolation and destruction of Jerusalem and the Temple by the Roman Empire. And this all happened within Jesus’ generation’s lifetime, within a Biblical generation, 40 years later. Although Jewish and Old Testament expectations are of a literal earthly reign of the Messiah, based upon their belief that God has finished with corporate national Israel, Preterists believe that there is no need for a future literal Millennial Kingdom on earth. 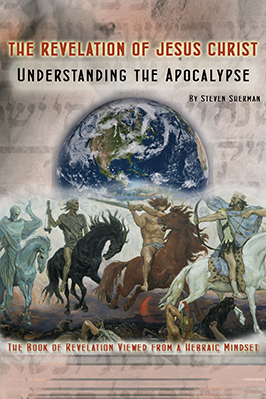 The Futurist view is that the book predicts events which will accompany the end of the world. Chapters 1-3 generally are seen to refer to the events of the interpreters’ own time, and the rest of the book is of future or end time events. Dispensationalists hold to this view. The acknowledged father of dispensationalism is John Nelson Darby, an Irish lawyer who left his successful practice to become an Anglican priest. For Darby the church formed a parenthesis between the dispensation of the Gentiles (before Christ) and the coming dispensation of the Kingdom. We currently live in this dispensation of the church, which began during the ministry of the Apostle Paul. It is an era of grace in which the rejected Messiah is building up his heavenly people, the Christians. Meanwhile God’s real issue in human history is with his earthly people, the Israelites. The Rapture will be the necessary removal of the heavenly people from the world so that God’s work with the earthly people might be finished. The person most responsible for the rather widespread acceptance of Pretribulationalism and Dispensationalism among Evangelicals is Cyrus Ingerson Scofield (1843-1921). C. I. Scofield published his Scofield Reference Bible in 1909. This Bible, which espoused the doctrines of Darby in its notes, became very popular in Fundamentalist circles. In the minds of many a Bible teacher, fundamentalist pastor and multitudes of professing Christians, Scofield’s notes were practically equated with the word of God itself. These periods of time are based upon a western colonial view and completely discount the history of the Eastern Church. These churches were in existence at the time of the writing of the Book of Revelation. There is no biblical precept to validate that they are symbolic of subsequent and chronological fulfillment. They were listed according to the delivery of John’s epistle, since they were located on a circuitous mail route. When a dispensationalist seeks to interpret the future events prophesied in the Book of Revelation, he has already determined that the true church would need to be removed from the earth in order to make way for the completion of God’s dealings with the Jews. One of the most popular teachings today in Evangelical and Charismatic churches is this doctrine of the pretribulation rapture. This doctrine was a natural outcome formulated from dispensational presuppositions and Scofield’s commentary.